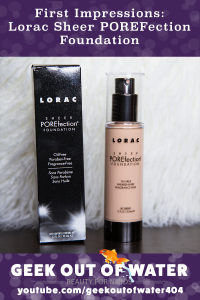 Here are my first impressions of Lorac’s Sheer POREFection Foundation on fair, dry, 40-ish-year-old skin, including application and 3 and 7-hour check-ins. March’s Faves & Fails from Nyx, Exuviance, Bumble & Bumble, Smashbox, Physician’s Formula, Ulta, and more! *I earn a small bonus if you sign up via the starred links and appreciate if you do, but I recommend them regardless of how you sign up! 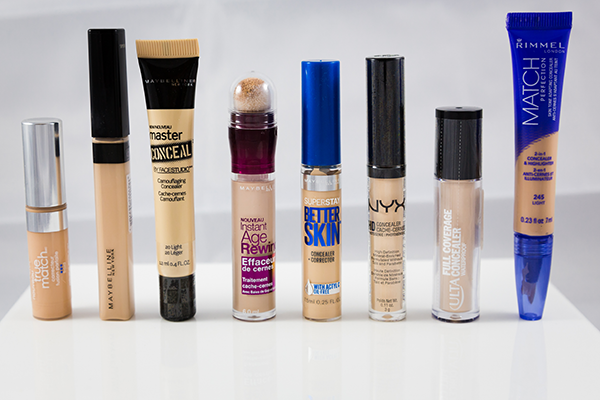 8 drugstore concealers go head-to-head to determine a winner! Grab your beverage of choice, get comfy, and prepare to root for your favorites, because this one is a doozy! 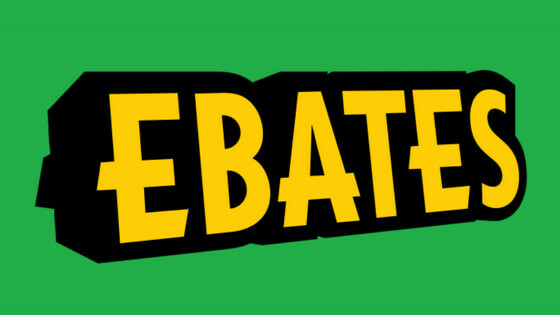 *I earn a small bonus if you sign up via the starred affiliate links and appreciate if you do, but I recommend them regardless of how you sign up! The days are getting longer and summer will be here before we know it! Bone up on the whats, hows, and whys of sunscreen and check out a few of my favorites. Bird chirping clip: Warbling Vireo Recorded by Mike Koenig. 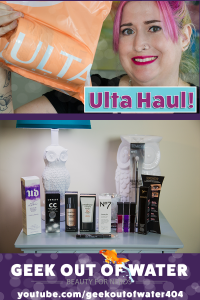 Ulta Haul! I stopped by Ulta to return an item and couldn’t help but pick up a few goodies. Do you get sucked in by clever advertising and pretty packaging like I do? I purchased all products used in this video. All opinions are my own. Links are not affiliate links. 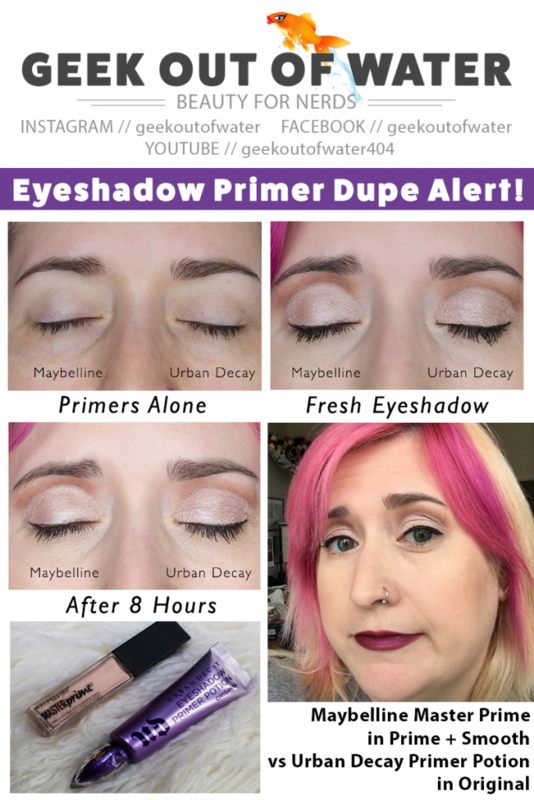 Urban Decay and Maybelline duke it out in this eyeshadow primer dupe that can save you some Benjamins! 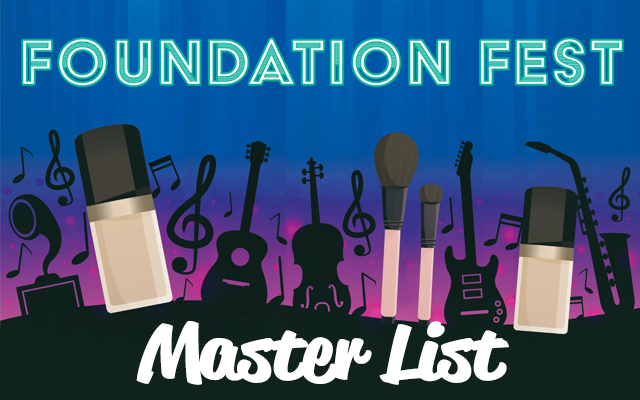 See how the drugstore brand Maybelline Master Prime Long-Lasting Eyeshadow Base in Prime + Smooth holds up against the higher end Urban Decay Eyeshadow Primer Potion in Original on 41-year-old eyes that are starting to show lines and signs of aging. 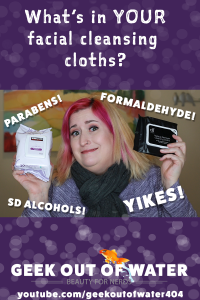 What’s in your facial cleansing cloths? Things that make you go YIKES! What’s in your facial cleansing cloths? 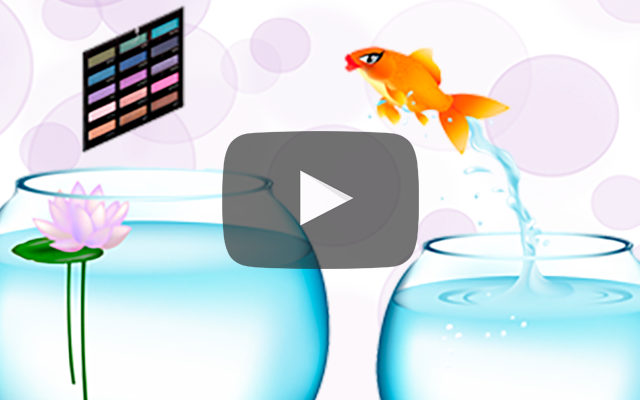 Press play and learn about some of the ingredients in personal care products that can irritate your skin or may even cause cancer! What we put on our bodies is important, and I run down what to look for and what to avoid in this video. Of course, it’s easy to get derailed when you start looking up ingredients on cosmetics and personal care products. Why are we putting ANY of these chemicals on our skin?! Where’s my bubble?! For those of us that don’t want to live in a bubble, it’s all about making informed decisions and weighing risks versus benefits. There are plenty of low risk options with great benefits. I share some of them here! * Note: Be sure to check the “last updated” dates when looking up products on the EWG database. If the manufacturer has reformulated a product, it might not yet be updated on the EWG site. For example, some of Urban Decay’s Primer Potions used to contain parabens (as listed in EWG) but have been reformulated in the past 2 years and no longer contain parabens. Welcome to Geek Out of Water! Welcome to Geek Out of Water! 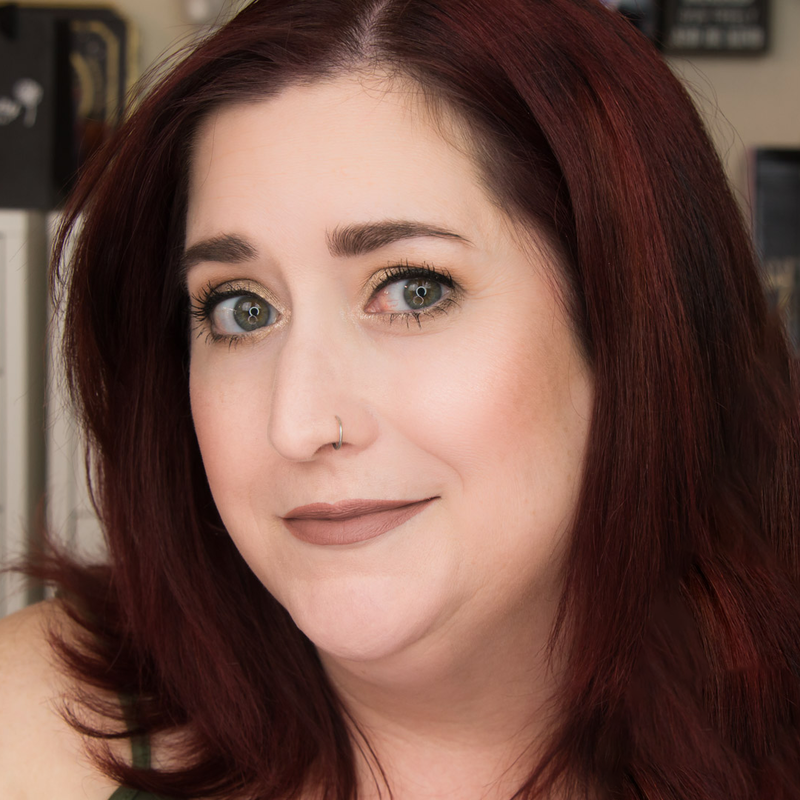 My name is Shelly, and I started this blog and YouTube channel to help fill the void in the genre of 40-something beauty bloggers. I’m a 41-year-old web programming nerd with changing skin and changing needs, learning to navigate the beauty world. I’ll be sharing tips, tricks, and finds as I research beauty products to find the ones that work the best on skin that’s starting to show those smile lines and sun spots and sins of years past. Extra cheers to my fellow fair complected and dry skinned fishes! 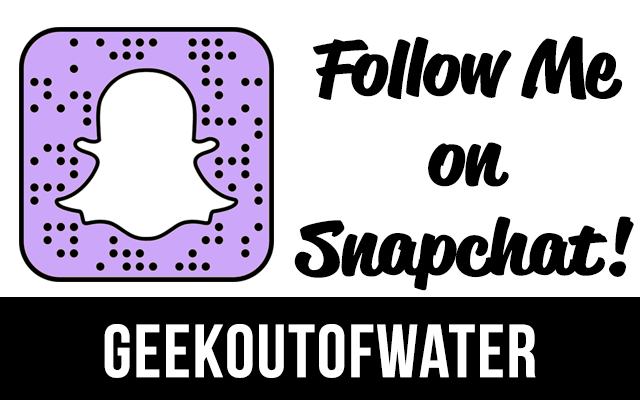 Show some love with a thumbs up and subscribe to Geek Out of Water on YouTube for weekly videos. Thanks! Geek Out of Water is coming soon! Stay tuned!